Expect more, pay less has brought new meaning as Target announced this week how shoppers can enroll in a free credit monitoring and identity theft protection service in the wake of a massive data heist. According to a specially dedicated website, the retailer will offer customers the service for one year. 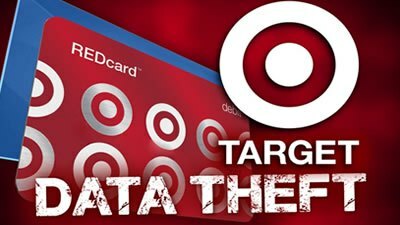 Target customers can register for the service — regardless whether they have been personally affected by the theft of customer data records at the discount store chain. Step-by-step instructions on how to enroll in the Target credit monitoring program. The announcement comes after Target revealed last week that the massive security breach may have affected up to 110 million of its customers during the holiday shopping season and included more types of confidential information than previously disclosed. Target had previously reported that about 40 million credit and debit cards may have been affected by the breach that occurred between Nov. 27 and Dec. 15. While continuing to investigate, Target now indicates that an additional 70 million customers were impacted by the theft of their names, phone numbers, and email and mailing addresses. Some of the information stolen in the data breach belonged to customers who shopped before the holiday season. Surpassing an incident uncovered in 2007 that saw more than 45 million credit and debit cards stolen from Marshalls and T.J. Maxx, the Target data breach is the largest reported ever for a retailer. In addition to the Target credit monitoring service, impacted customers may also protect themselves from potential identity theft. By keeping close tabs on your credit report, you can detect signs of identity theft early. If you find an account not opened by you and have identified it as fraudulent, enter a dispute directly with the creditor as well as with the credit reporting agencies of Equifax, Experian and TransUnion. You can obtain a free credit report at www.annualcreditreport.com or 877-322-8228. Contact the credit reporting agencies and request a 90-day initial fraud alert on your credit report. Not only will this trigger a free credit report but will advise potential creditors to investigate any application prior to issuing credit, goods, benefits and/or services. Equifax can be contacted at 800-525-6285, Experian at 888-397-3742 and Trans Union at 800-916-8800. Be sure to renew the alert every three months. Identity thieves are frozen in their tracks without access to your credit report as potential creditors will not have access to your credit history. In most states, you are entitled to temporarily “freeze” access to your credit profile without cost if you are over 65 years of age or are a verified victim of identity theft. All others may be required to pay a small fee. Without access to your credit report, a responsible lender will not issue credit. Opting out at www.optoutprescreen.com or 888-5OPT-OUT will stop most unsolicited pre-approved applications and reduce the incidence of identity theft. Opting out refers to the process of removing your name and address from lists supplied by the Equifax, Experian, Trans Union and Innovis credit reporting agencies to be used for firm (preapproved/ prescreened) offers of credit or insurance. “Freezing our credit and keeping a vigilant eye on our accounts ourselves continues to be the only way we have any control over our data, at least until there is far more transparency and a lot less sharing of data,” concluded Richardson.